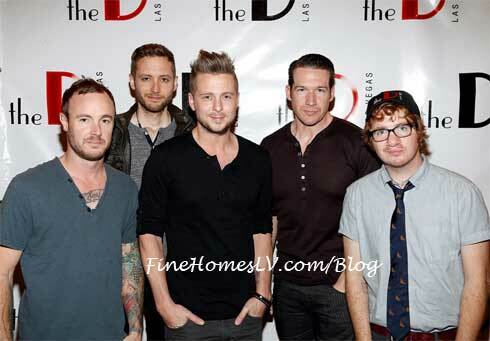 OneRepublic gave a spectacular performance for thousands of fans, wrapping up the celebration for the grand opening of the D Las Vegas – Sin City’s newest casino – located downtown on the Fremont Street Experience (FSE) last night. 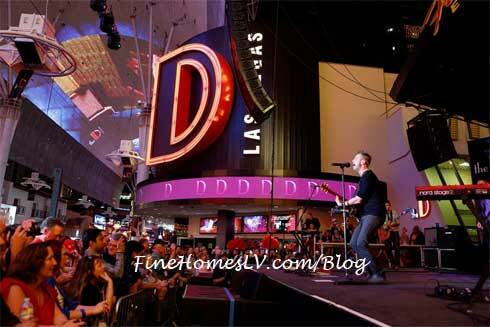 Ensuring fans didn’t miss a second of the concert, the show streamed live on the larger-than-life plasma video wall on the D’s exterior, in addition to FSE’s massive Viva Vision LED canopy. 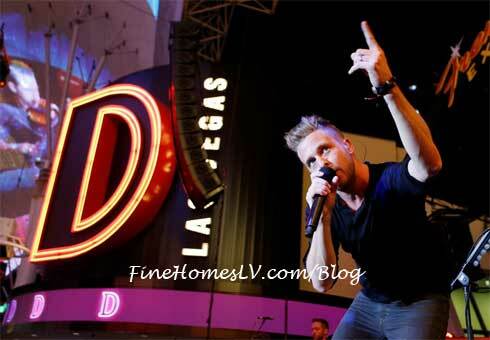 Before concluding with hit song “Good Life,” Tedder let the crowd know that guitarist Drew Brown is often called “D” so when the band got an offer to play at the D, it was an automatic yes. After exiting the stage, the crowd repeatedly chanted, “Encore!” prompting the band to reappear to perform “Waking Up,” which is the title track off their new album set to release next month.